The CLA – a.k.a. “the baby CLS” – is considered one of our entry level vehicles in the Mercedes-Benz lineup, but there is absolutely nothing entry level about this vehicle, other than the price. The name CLA stands for “Coupe Light A-Class” in keeping with the CLS that set the four-door coupe standard. Beneath the twin power domes of the CLA 250 hood beats a powerful heart. A 208-hp turbo inline-4 turns less fuel into more torque with advanced Direct Injection and rapid-multispark ignition. ECO Start/Stop automatically pauses the engine at red lights to save fuel. DYNAMIC SELECT lets you dial in a mode to fit your driving mood. 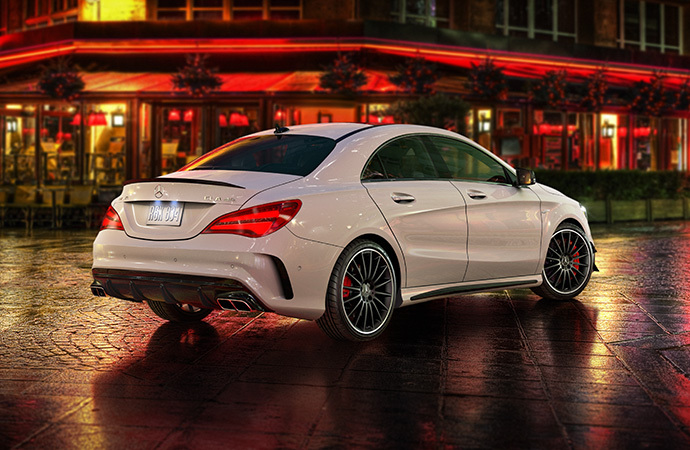 See our entire CLA inventory. Fuel-friendly and fun like a manual, with the relaxing comfort of an automatic: The 7-speed DCT transmission gives you both. The racing-derived dual-clutch design makes every shift lightning-quick yet liquid-smooth. DYNAMIC SELECT offers different modes for your driving mood. Shift paddles on the steering wheel put power in your hands. Quick to respond, light in weight, and remarkably efficient, variable-torque 4MATIC all-wheel drive can take the CLA 250 to higher levels of agility and all-season confidence. 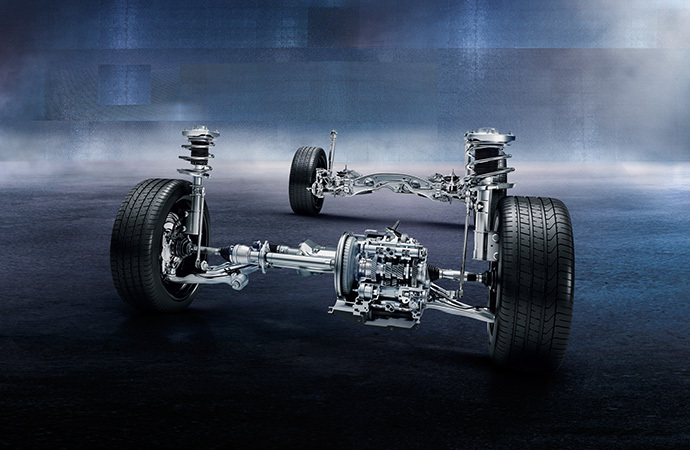 As the grip changes at each wheel, 4MATIC can instantly and variably send up to 50 percent of the engine’s power output to the rear wheels, on demand. Driving.ca review = 81% score – See there review at Driving.ca. From COMAND Online navigation to Active Parking Assist, it offers advanced options to help you go far and near. Standard technology can even lend a hand before you get in: KEYLESS-GO lets you unlock the doors with just a touch, and you can open the trunk with a convenient foot motion under the bumper. With a standard 8-inch colour screen, intuitive central controller, and Bluetooth wireless audio streaming, a CLA can make going anywhere more fun. And with listening options that includeSiriusXM Radio and 450 watts of harman/kardon LOGIC7 surround sound, plus standard Apple CarPlay and Android Auto, you won’t miss a beat. See all of our Specials, including those on the CLA. Learn more about the CLA on the Mercedes-Benz Canada site. Please call us at 403.232.6400 or email sales@mbdtyyc.com for more information and to schedule a test drive.